Morning one and all… most of you will be at your desks, or workstations reading this – one or two of you will be on holiday or have a “duvet day”. I think duvet days are underestimated and misinterpreted in my humble opinion – one duvet day + guilt = a month or two of dedicated presence in the workplace, rather than just showing up and ticking the days off until your next holiday – often filling the void (which your employer is paying you for) by chatting and just moving paper around the desk – like “washing” your pack of playing cards. – I don’t know – tell me !! I love to hear from you. What I do know is a lot of people read this blog, and they are regular readers – even checking when there are no blog posts that I am around – so something I am writing here is interesting you (apart from the Court Case and my life which is a little like car crash TV – I know !) – So please let me know what it is.. and then I will write more in the areas you are interested in. So what am I up to today. Well I am writing this blog to get myself back into some sort of routine which involves being/doing productive and craftsmanship thinking, rather than the cyclical round of paperwork, picking up mistakes, paperwork, thinking about, paperwork, wondering where my day goes, paperwork. This and the organisation which is producing it is acting a little like a sea anchor and taking me under. As many of you know I have suffered acute stress this year, and it is no wonder. There is only so long the psyche can keep being battered, but our darling DWP have really excelled themselves this time. They seem to have forgotten the humanity of what they are asking and doing – last week is a prime example I have no intentions of discussing here, but am thankful I am not the kind of gal who would just walk out of her life without an argument…and I would urge all of you also affected by the double/triple whammy of filling in forms not just for themselves but the others they care for to point this out – in writing to their local office – as well…. Wish I could have a duvet day from having to deal with that mess…. 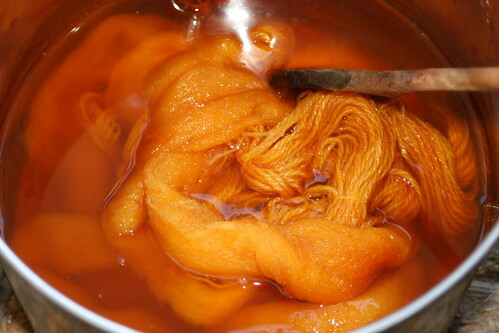 So I have decided instead of just succumbing to it, I am going to get stuck in and focus on something which is more like the real me… so weaving, spinning, dyeing, painting, living, laughing, satirical humour…oh and a bit of paperwork – I love accounts and writing fiction…. 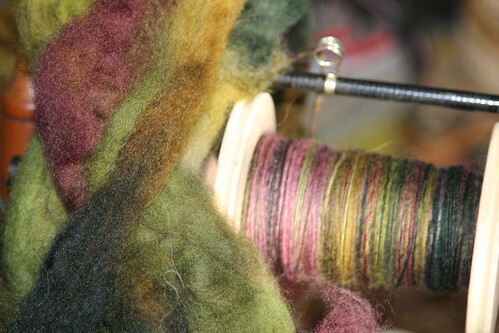 Those were the dayz – clouds of beautiful textured yarn produced because I could not because I had to. Dyeing because I wanted to and not because I had to…. So that is going to be where I am aiming for over the next few weeks, whilst we wait for answers and hopefully resolutions.